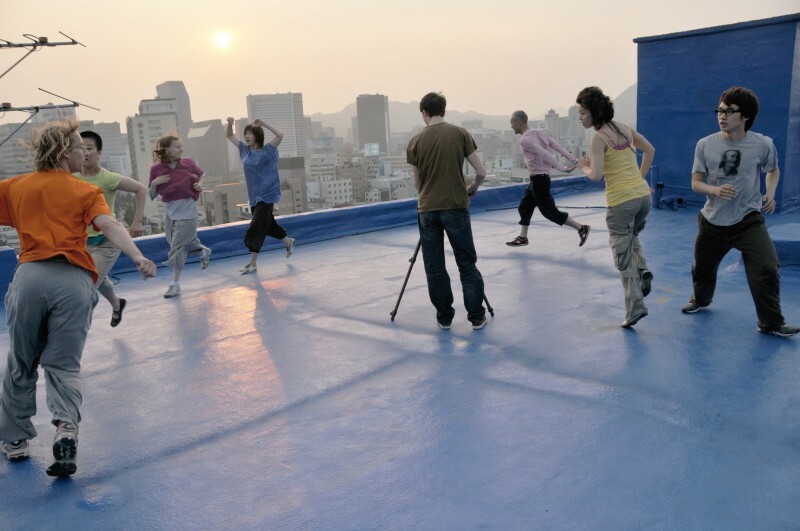 During the Summer 2008 the two choreographers Malgven Gerbes and David Brandstätter travelled together with the video artist Julien Crépieux and the sound designer Christoph Engelke for two months through South Korea and Japan. Together with local artists they organised each day a site-specific performance in a new environment. Eulogy to the shade is the movie that documents this travel.During the Summer 2008 the two choreographers Malgven Gerbes and David Brandstätter travelled together with the video artist Julien Crépieux and the sound designer Christoph Engelke for two months through South Korea and Japan. Together with local artists they organised each day a site-specific performance in a new environment. Eulogy to the shade is the movie that documents this travel. During the Summer 2008 the two choreographers Malgven Gerbes and David Brandstätter travelled together with the video artist Julien Crépieux and the sound designer Christoph Engelke for two months through South Korea and Japan. Together with local artists they organised each day a site-specific performance in a new environment. Eulogy to the shade is the movie that documents this travel.During the Summer 2008 the two choreographers Malgven Gerbes and David Brandstätter travelled together with the video artist Julien Crépieux and the sound designer Christoph Engelke for two months through South Korea and Japan. Together with local artists they organised each day a site-specific performance in a new environment. Eulogy to the shade is the movie that documents this travel.During the Summer 2008 the two choreographers Malgven Gerbes and David Brandstätter travelled together with the video artist Julien Crépieux and the sound designer Christoph Engelke for two months through South Korea and Japan. Together with local artists they organised each day a site-specific performance in a new environment. Eulogy to the shade is the movie that documents this travel.During the Summer 2008 the two choreographers Malgven Gerbes and David Brandstätter travelled together with the video artist Julien Crépieux and the sound designer Christoph Engelke for two months through South Korea and Japan. Together with local artists they organised each day a site-specific performance in a new environment. Eulogy to the shade is the movie that documents this travel.